Worried about having to carry bags of souvenirs on your day at the park because you don’t have time to stop back at your hotel? Here’s a quick tip: ask the cashier to package up the items and have them sent back to the room you are staying in. Though this is a very popular tactic for veteran park-hoppers, a lot of vacationers might not realize this option exists. As long as you are staying on property, cast members can bundle your purchases and have them shipped right back to your hotel, where they will magically appear waiting for you. 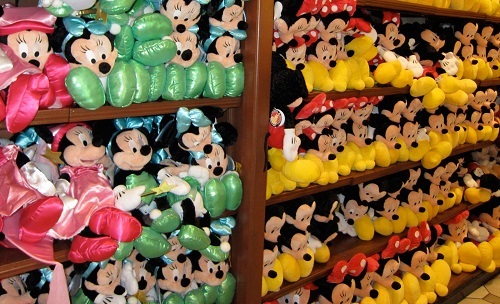 It doesn’t cost any extra, and it’s a great way to avoid carrying your souvenirs all over the parks! Similarly, if you’re worried about carrying cash, remember that your Magic Band can now be used to charge items to your room bill. This means that you can now scan your Magic Band at any restaurant, quick service, or store in the Disney parks, and have the total purchase automatically added to your overall hotel bill.